Welcome to the Home of the Mowbray dachshunds. 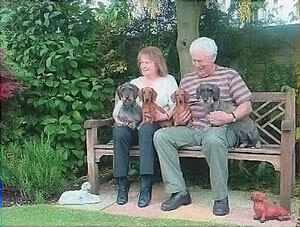 Showing dachshunds is our hobby- we have had success at all levels and some nice wins at Crufts. First and foremost we are producing happy, healthy well socialised hounds. Our dogs are all family pets - they live with us in the house. Occasionally we have a litter (when we want a new pup for the show ring) so there are puppies sometimes available. Copyright © Mowbray Dachshunds 2018 All rights reserved.